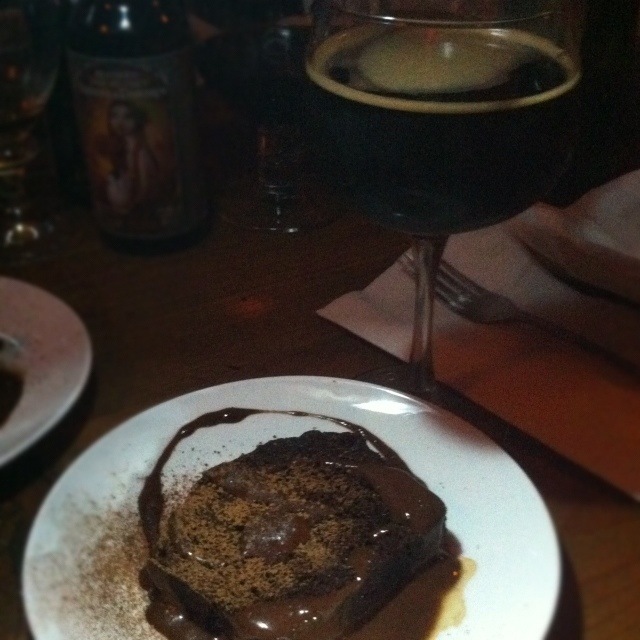 Heavenly – the cake is light as a cloud yet oh-so rich & chocolately, melding with the top notes of the Peche Mortel & highlighting the deep coffee bourbon in the beer. Perfect end to the meal. 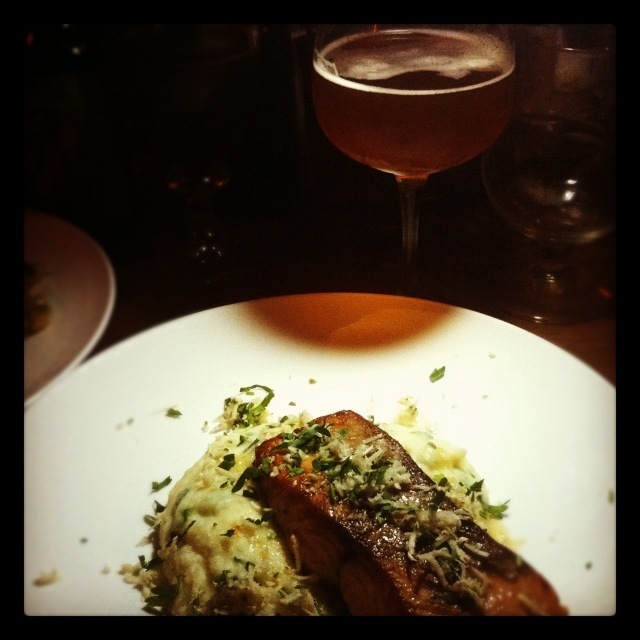 Mary & Cuzme: The salmon has a nice amount of parsley which works well with the spicy ness and Belgian yeastiness of the Tripel. Sweetness exists amongst it all. 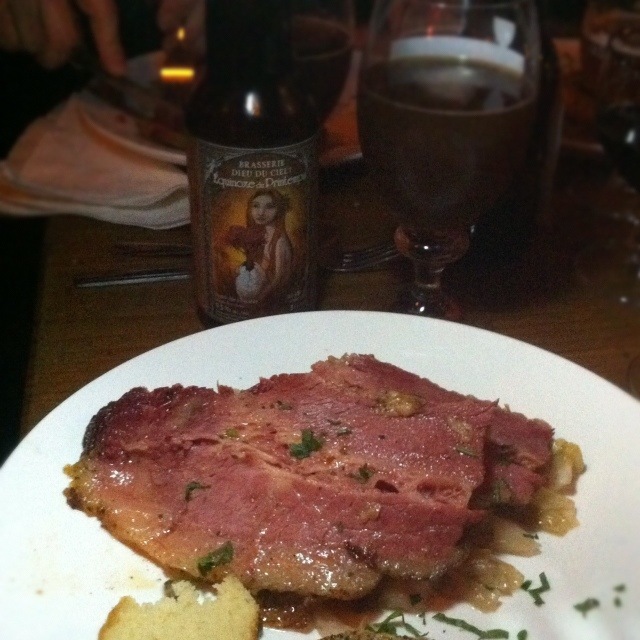 Cuzme: The corned beef meatiness and sweetness is accentuated and showcased by the malty caramel like sweetness of the scotch ale. (it took a moment to reach full potential: as the beer warmed, the world turned for the better). Sweet cabbage danced while spicy grain mustard threw down the funk! 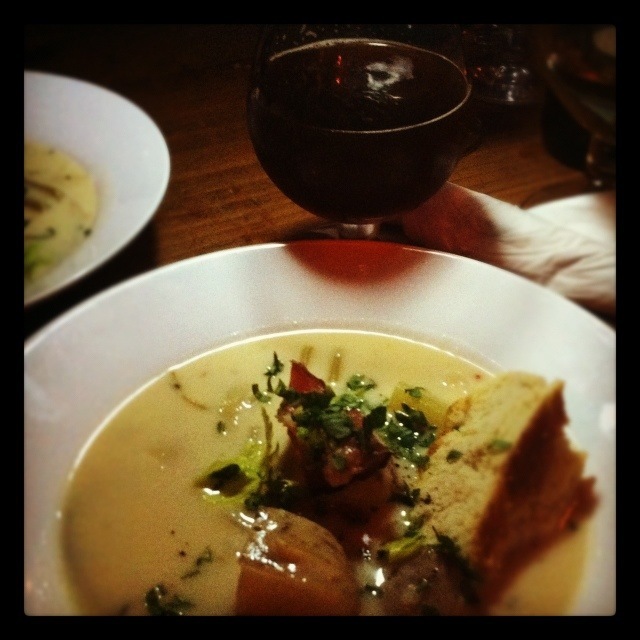 The Rigor Mortis goes head to head with the bacon & is a sweet boozy contrast to the cheddar soup. My book on fast-fermented alcoholic beverages, Speed Brewing, was published in June 2015. Order it from your favorite book retailer now! Want to to be notified of new posts?